On this week's show: Agent Carter finally has a UK air-date (and it's tonight! ), Lynch has enough money to make the Twin Peaks reboot the way he wants to, Fox is bringing back more of their old back catalogue and there's a Limitless TV show in the works featuring Bradley Cooper himself! 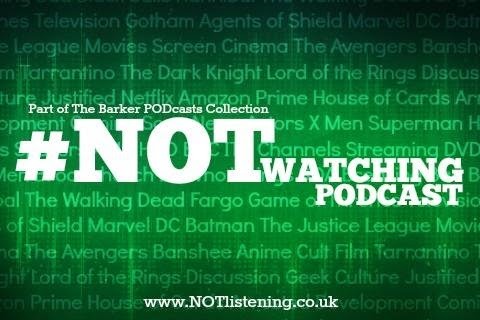 ...all this and more on another news-packed #NOTwatching Podcast! Netflix is now bigger than CBS!